Les Mis&eacute;rables (French pronunciation: [le mizeʁabl(ə)]) is a French historical novel by Victor Hugo, first published in 1862, that is considered one of the greatest novels of the 19th century. In the English-speaking world, the novel is usually referred to by its original French title. However, several alternatives have been used, including The Miserables, The Wretched, The Miserable Ones, The Poor Ones, The Wretched Poor, The Victims and The Dispossessed. Beginning in 1815 and culminating in the 1832 June Rebellion in Paris, the novel follows the lives and interactions of several characters, particularly the struggles of ex-convict Jean Valjean and his experience of redemption. 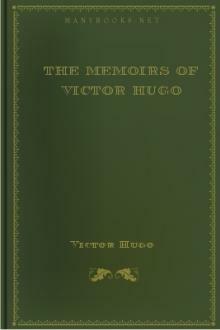 Although best known as the author of Notre Dame de Paris and Les Mis&eacute;rables, Victor Hugo was primarily a poet&mdash;one of the most important and prolific in French history. Despite his renown, however, there are few comprehensive collections of his verse available and even fewer translated editions.